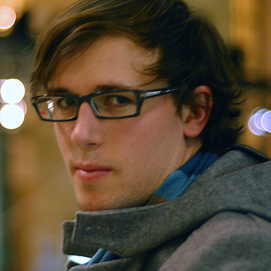 Daniel Burka is the creative director at Digg and is one of three founders of Pownce. He is also one of the founders of the Canadian company Silverorange where he worked on various projects including branding and user interface design for Mozilla. At Digg, Daniel works with Kevin Rose to evolve concepts into a cohesive user experience. Enabling the vibrant user community to participate on the site is a constant challenge as it grows and changes. Daniel also designs the user experience for Pownce and works with Leah Culver and Kevin on feature development. Using case studies from Digg, Pownce, and other social communities, we’ll examine how to balance these and other concerns from a user interface design perspective. In particular, mistakes will be analyzed and success stories will be dissected to help explain how successful social interactions can be created and pitfalls can be avoided.